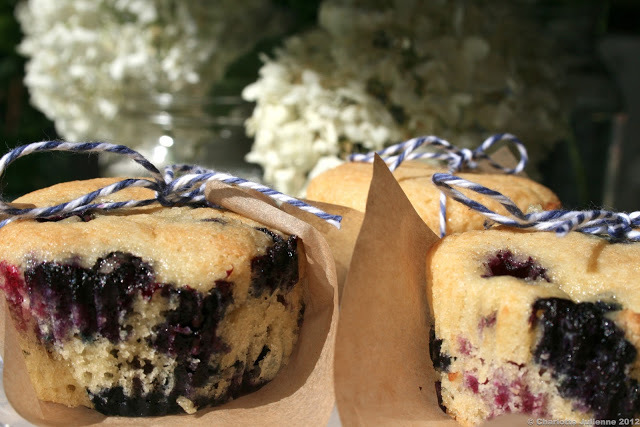 Did you know that today is (was) national blueberry muffin day? I didn’t. I stumbled upon that fact today when I was checking my email. While this is not a recipe for a muffin, it is close though, and as a child I confused them all the time. When I was little my mother would make these sweet little blueberry cakes. The recipe came from my grandmother so we would always call them grandma’s blueberry cakes. I didn’t understand the difference between a cake and a muffin and would always ask for them for breakfast. My mother would give me one and then be sure to say “well….it is really a dessert, not a muffin…” but again, she did always give me one! To begin beat together the shortening, sugar and egg. As you mix the dry ingredients to the wet you will alternate between adding dry then a portion of the milk and vanilla. This will make 12 muffins. Your muffin tins will not be filled to the top, only about half way. Bake at 350 for about 20-25 minutes until golden brown on top. The little cakes will be succulent because of the blueberries. They are good for breakfast or dessert and are great with milk or tea! They will always remind me of my childhood and helping my mother make them in our bright yellow kitchen where we loved to bake together.